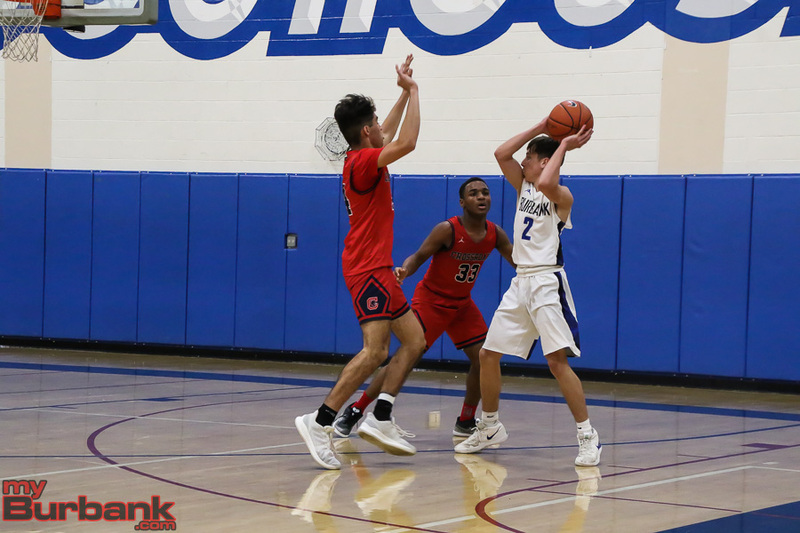 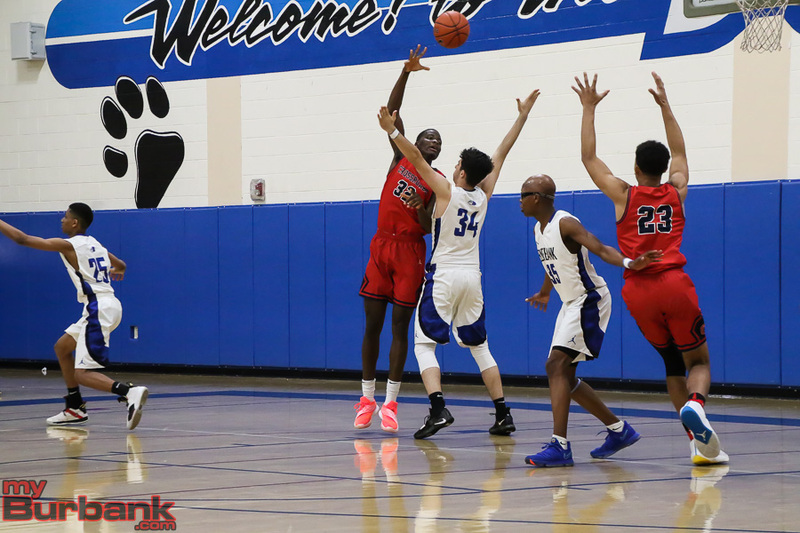 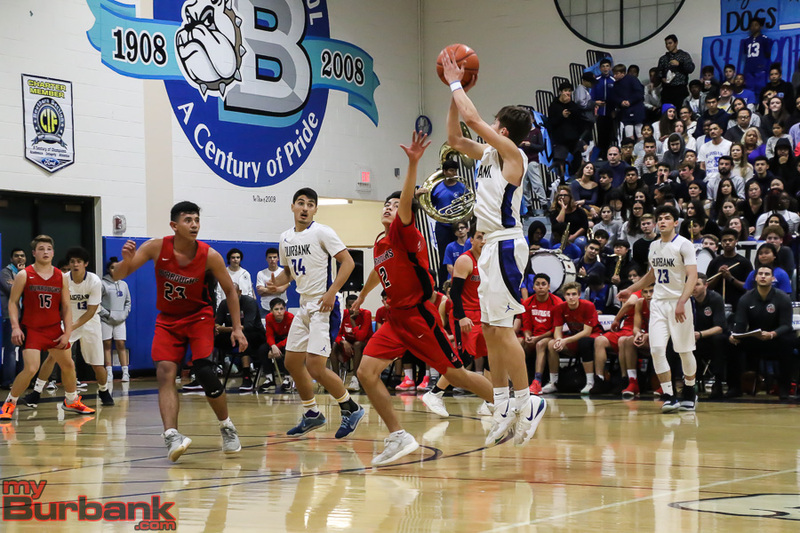 When the Burbank High boys’ basketball team stepped onto the floor to face visiting Crescenta Valley on Friday night, they met a squad that was at times red-hot shooting the basketball and merely hot on other occasions. 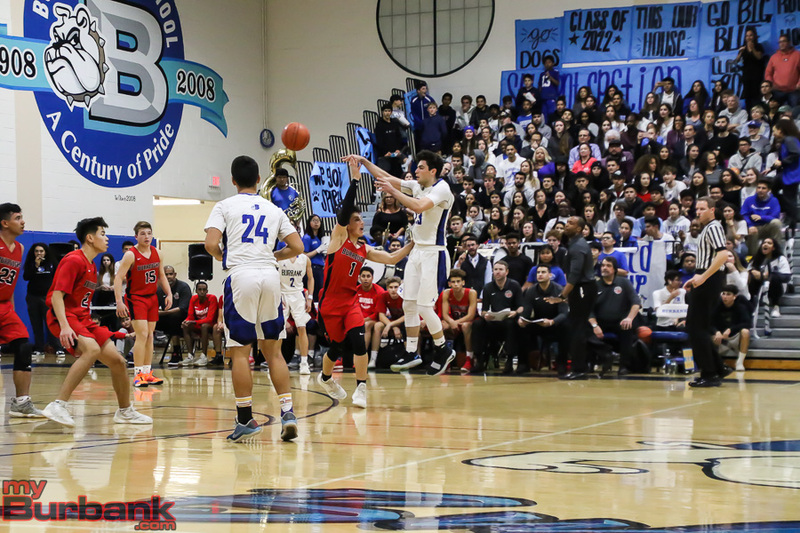 The end result was predictable as the Falcons flew off to a 63-45 decision in a Pacific League encounter. 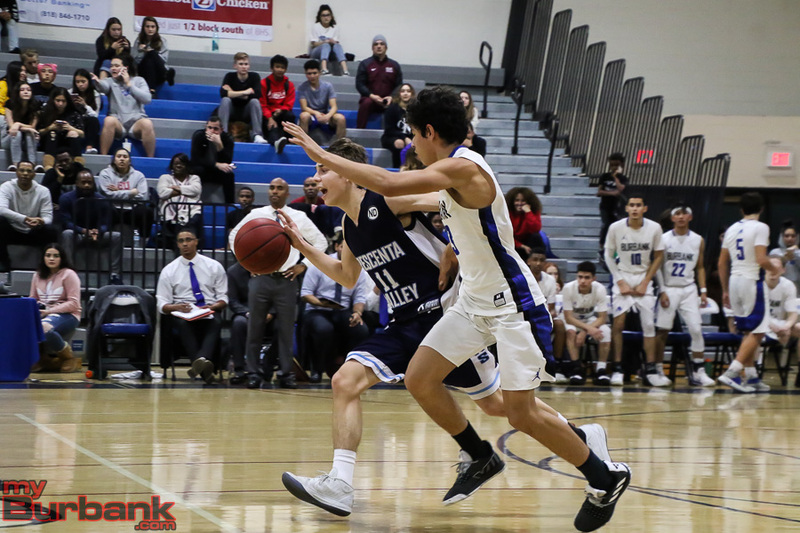 Crescenta Valley shot 50 percent from the floor (23 of 46 attempts) and knocked down seven three-pointers, including four in the second half when it outscored the Bulldogs 32-23. 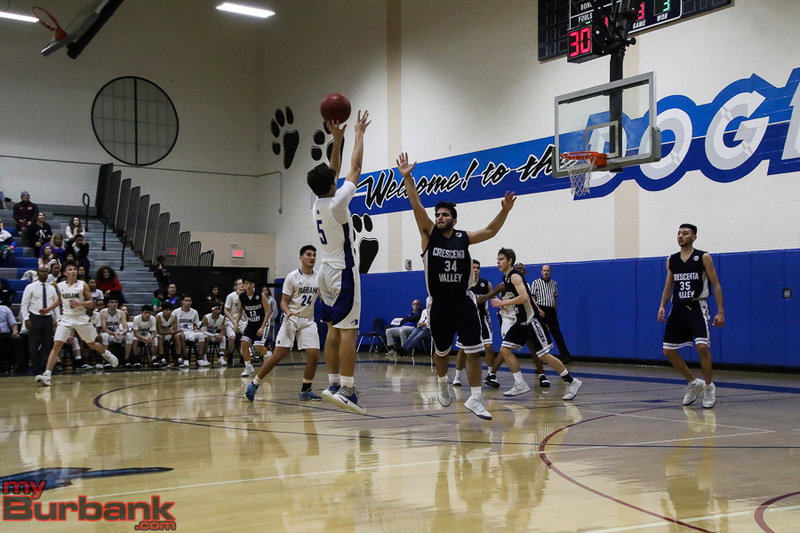 Burbank was successful on 15 of 57 field goal attempts from the floor for 26.3 percent. 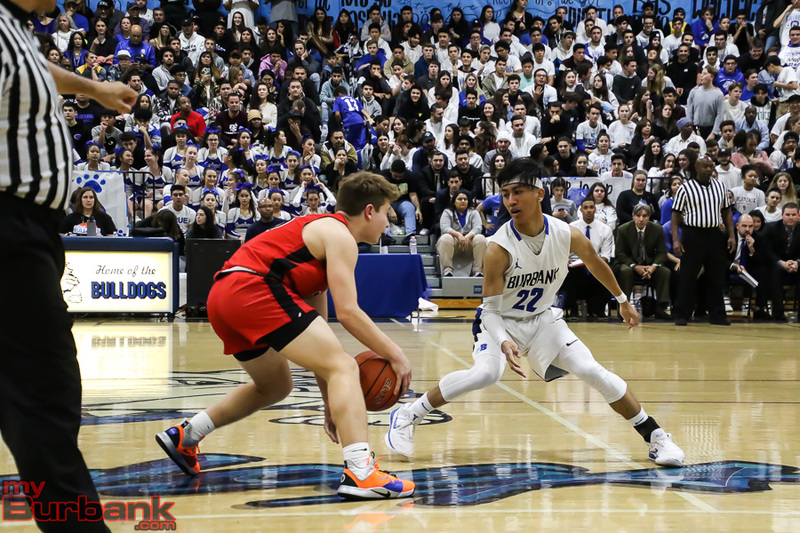 The Falcons (18-4 and 7-3 in league) made seven of 10 from the field in the third quarter and four of nine in the fourth period for 57.8 percent. 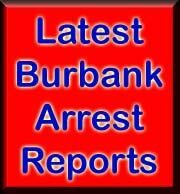 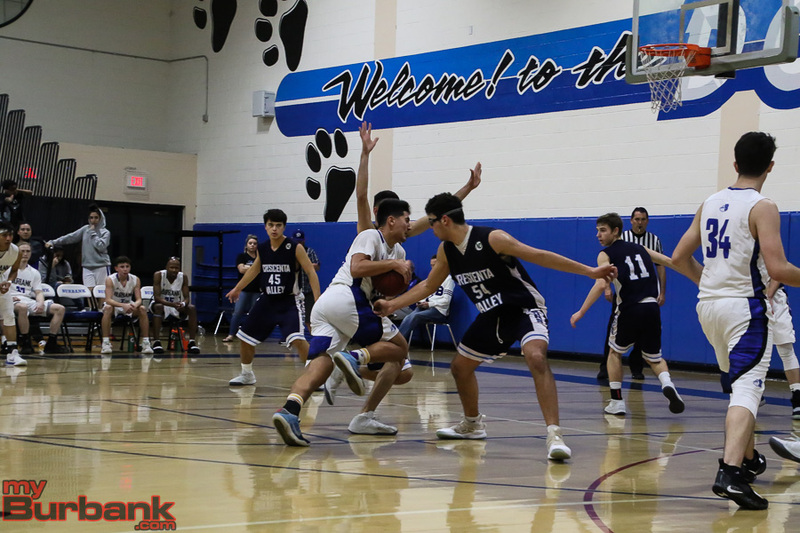 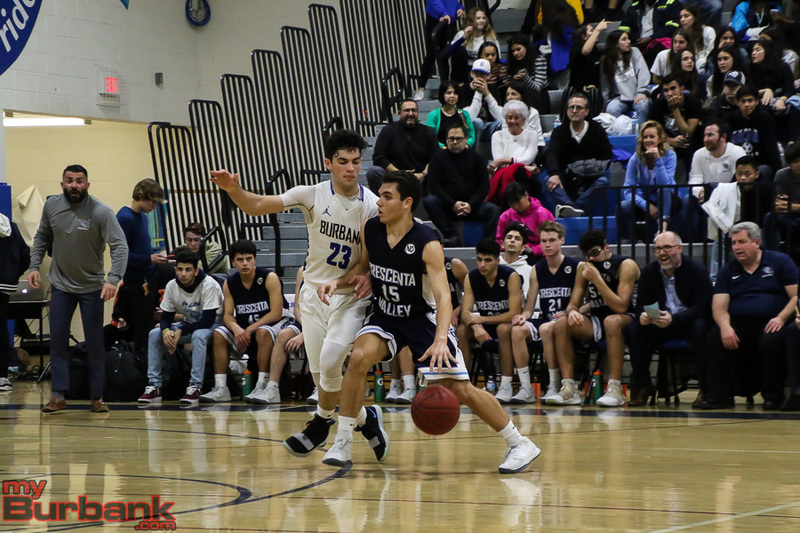 Crescenta Valley darted in front 41-28 with 2:25 showing in the third quarter when junior guard/forward Danny Khani (15 points) nailed three consecutive three-pointers which sealed Burbank’s fate as it trailed 52-35 heading into the fourth quarter. 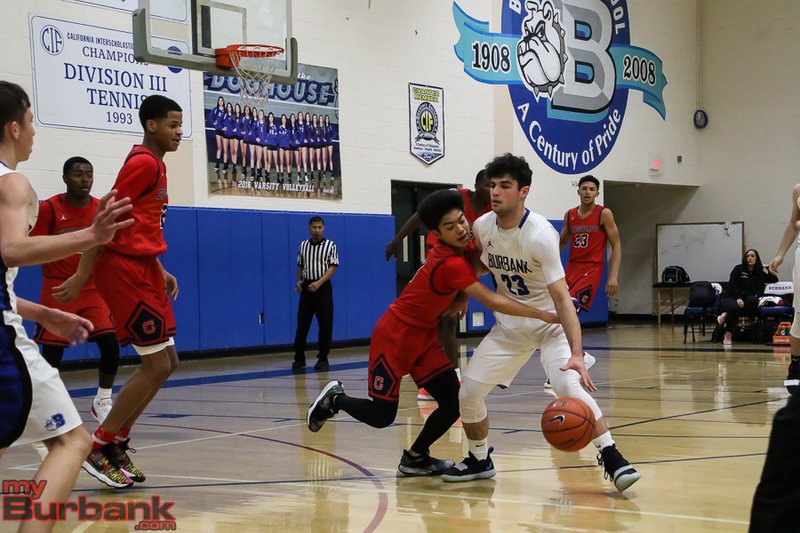 “I thought Danny, who hit the three threes in the third quarter lifted us there and I thought he did a good job defensively,” Zargarian pointed out. 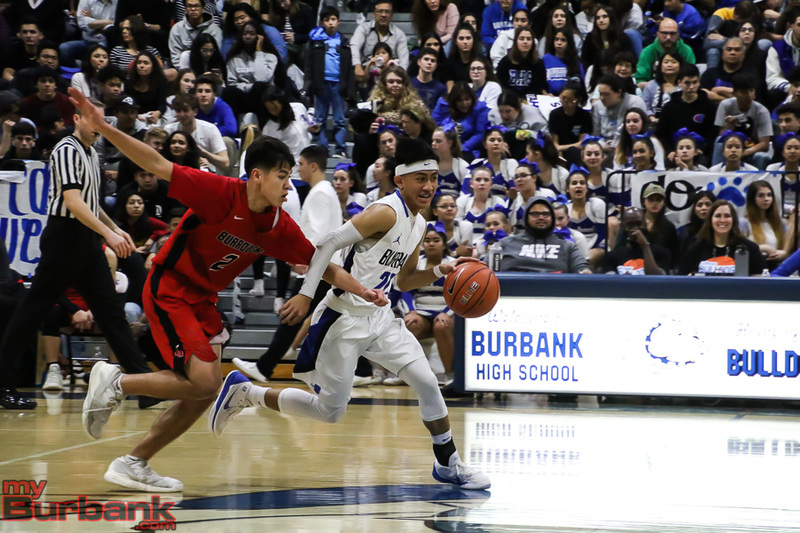 Burbank (14-9 and 5-5 in league) was looking at a deficit after each break, falling behind 16-6 heading to the second quarter and 31-22 at halftime as the Falcons made six of 12 in the initial frame and six of 15 in the second period for 44.4 percent. 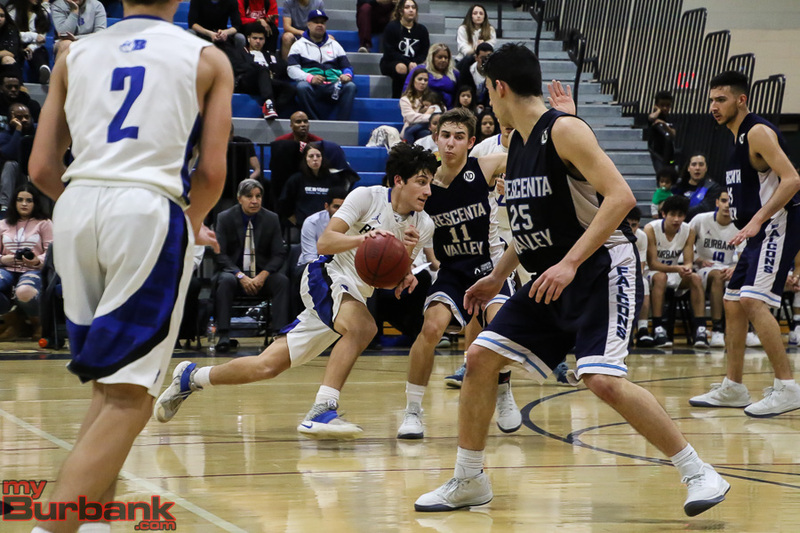 The Falcons pulled ahead 11-3 with 2:05 left in the first frame on a hoop from junior point guard Tyler Carlson (game-best 22 points). 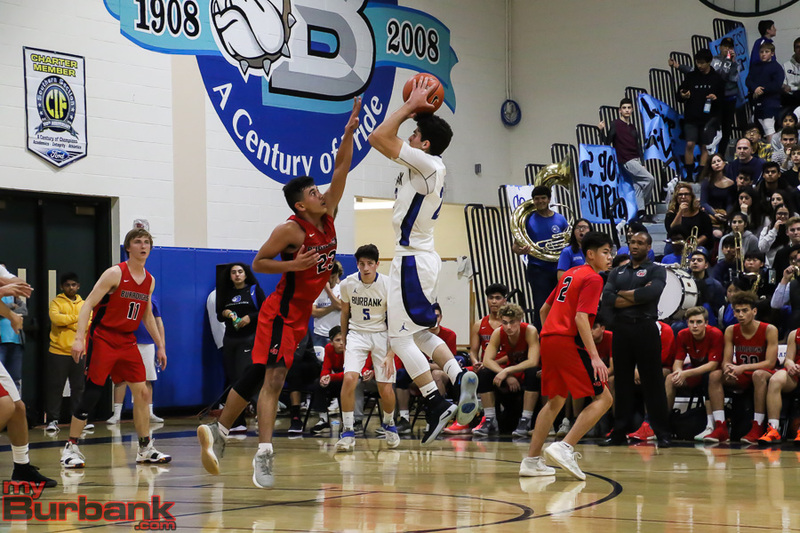 The Bulldogs struggled to locate the basket in the first period after hitting two of 15 and the second quarter on four of 13 and shot 21.4 percent at the half. 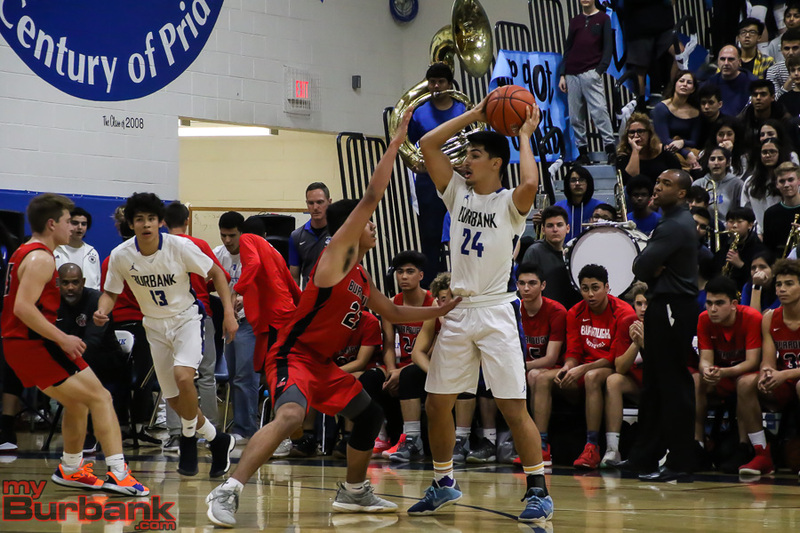 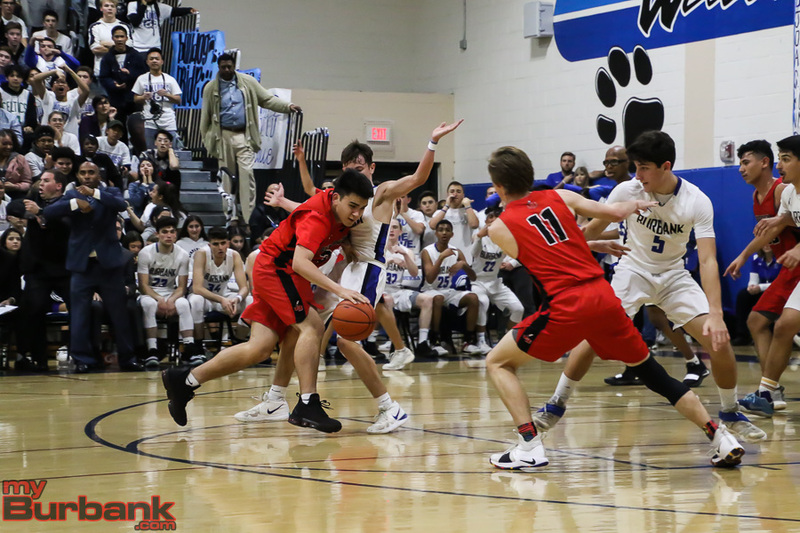 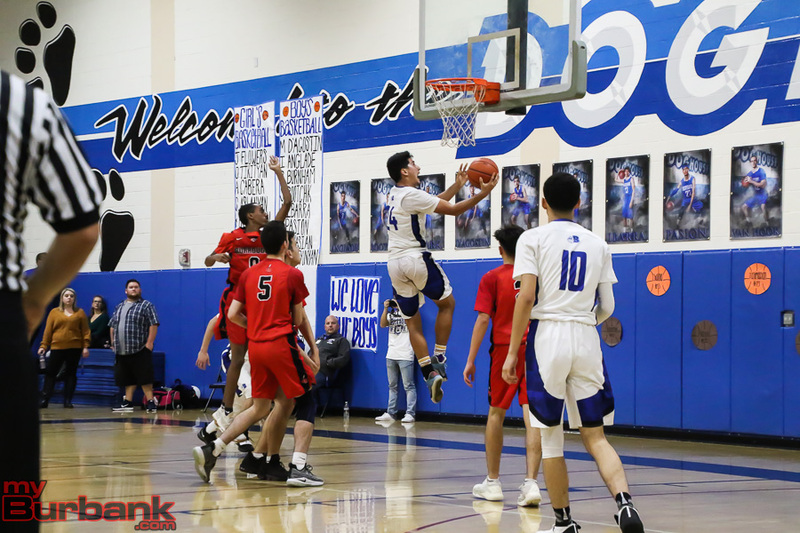 Burbank missed its first eight shots in the initial frame and finally broke the streak when junior shooting guard Leo Tahmasian (12 points) scored and later converted the first of two three-pointers in the same period. 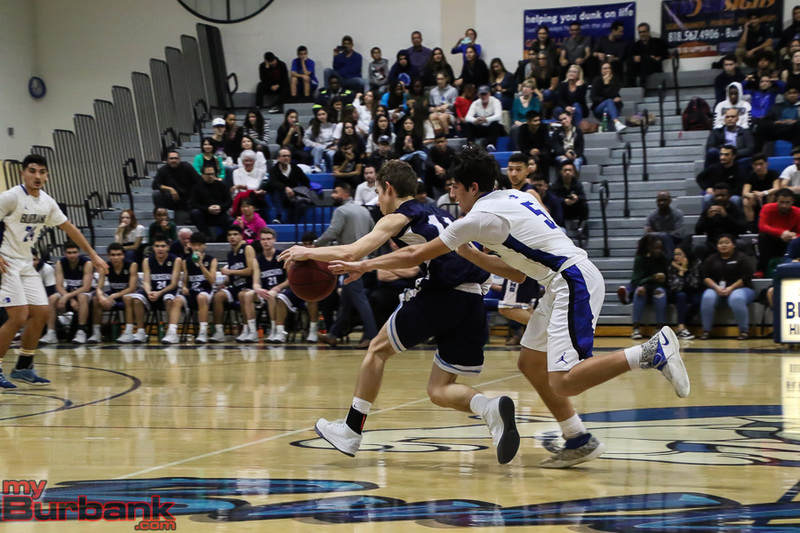 The Bulldogs were paced by senior shooting guard Erik Harutyunyan with 13 points. 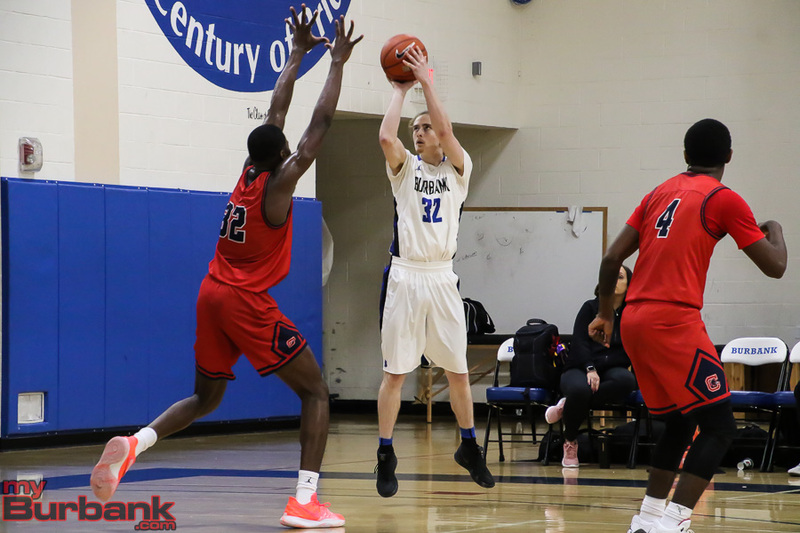 Carlson nailed four three-pointers over all and tallied a game-best 13 points at the intermission, dropping in eight in the first period and making two treys and scoring five points in the second quarter with one three-pointer. 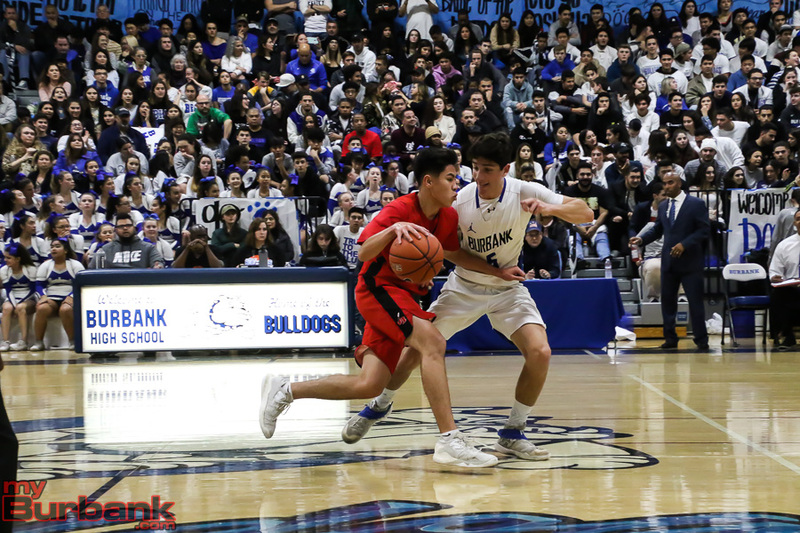 Senior point guard Miles D’Agostin tallied 10 points for the Bulldogs, while sophomore shooting guard Abiel Pearl accounted for four points. 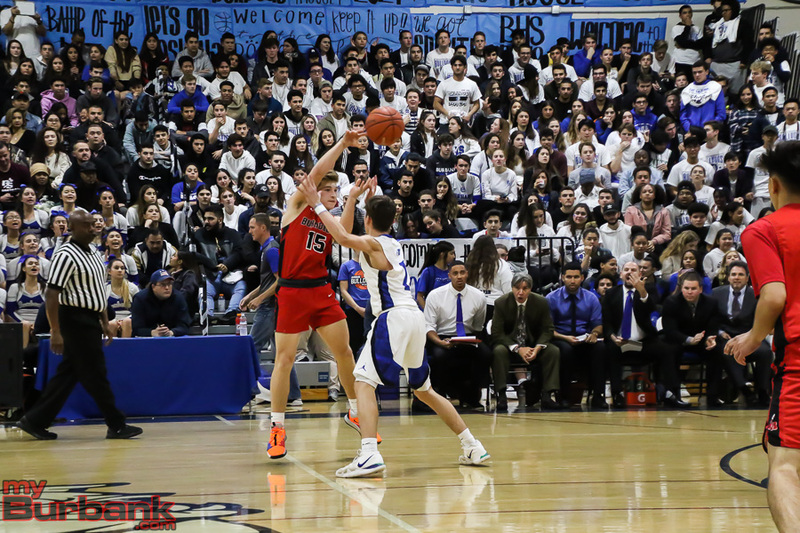 Junior shooting guard Ben Burnham had three points, junior power forward Kevin Sarkes added two points and senior shooting guard Guram Dumbadze had one point. 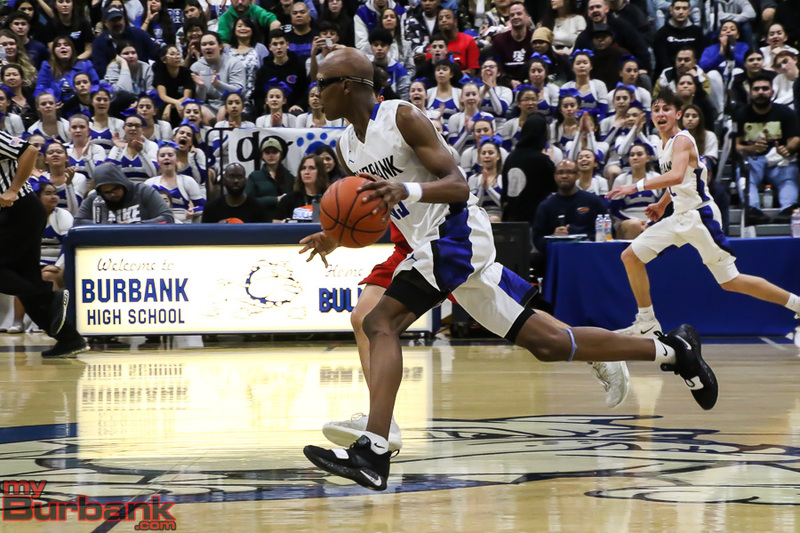 The Falcons hit 10 of 21 free throws while the Bulldogs, who made four three-pointers, converted 11 of 20 from the charity line. 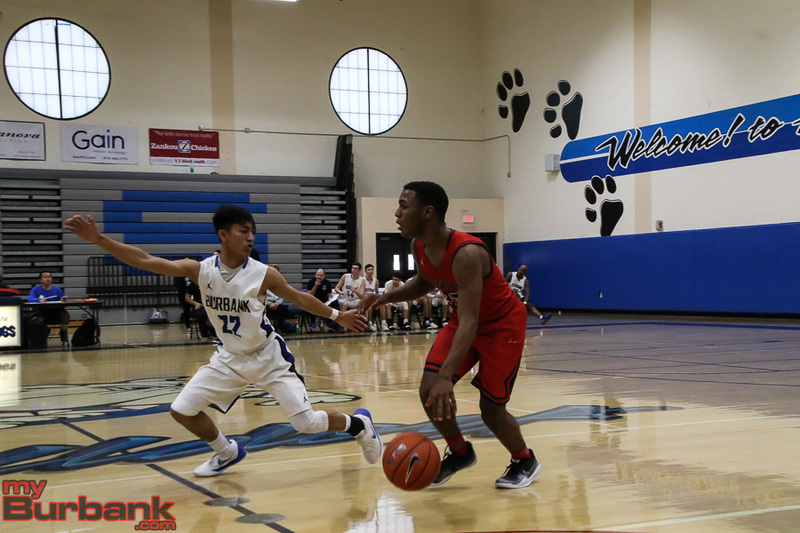 Burbank will host Crossroads at noon on Monday as it celebrates Dr. Martin Luther King Jr. Day with seven games. 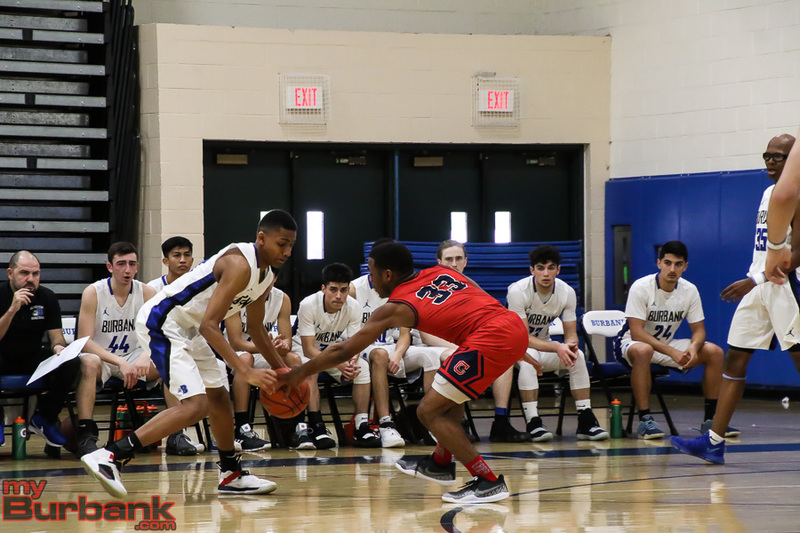 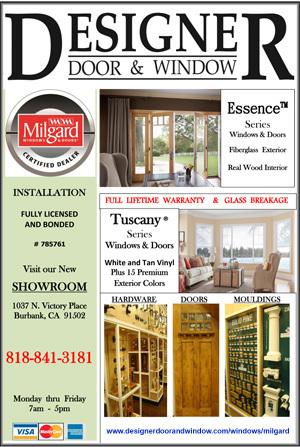 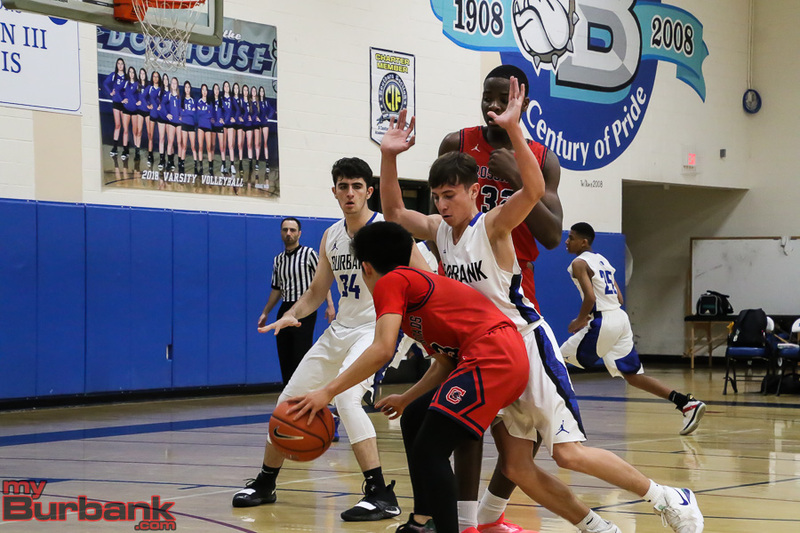 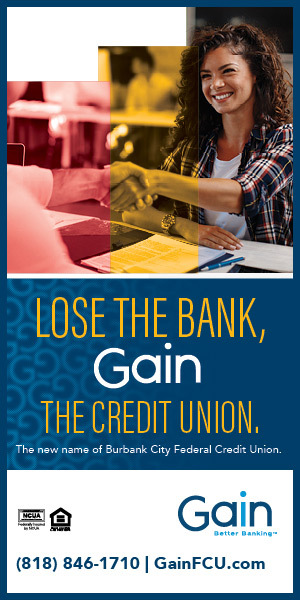 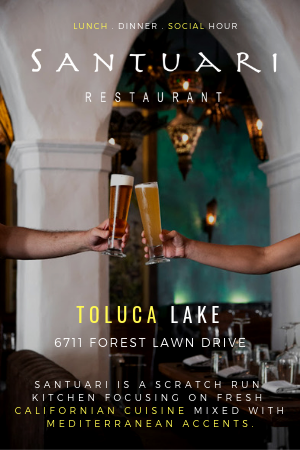 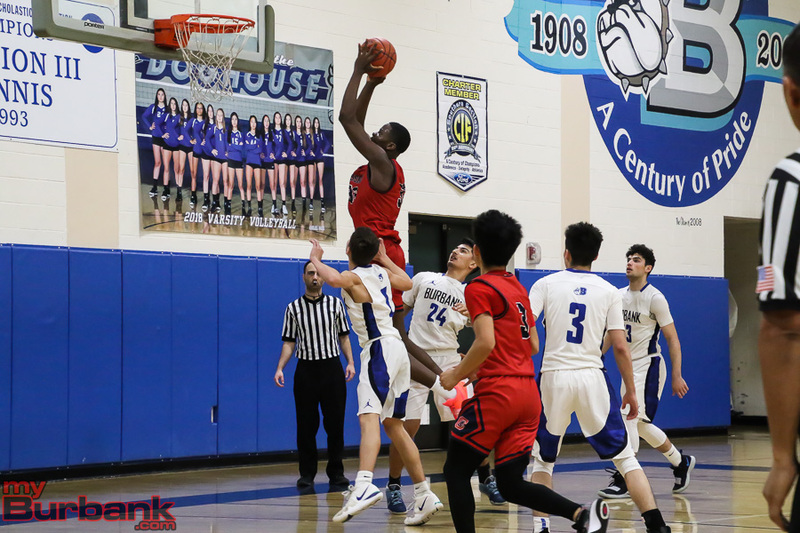 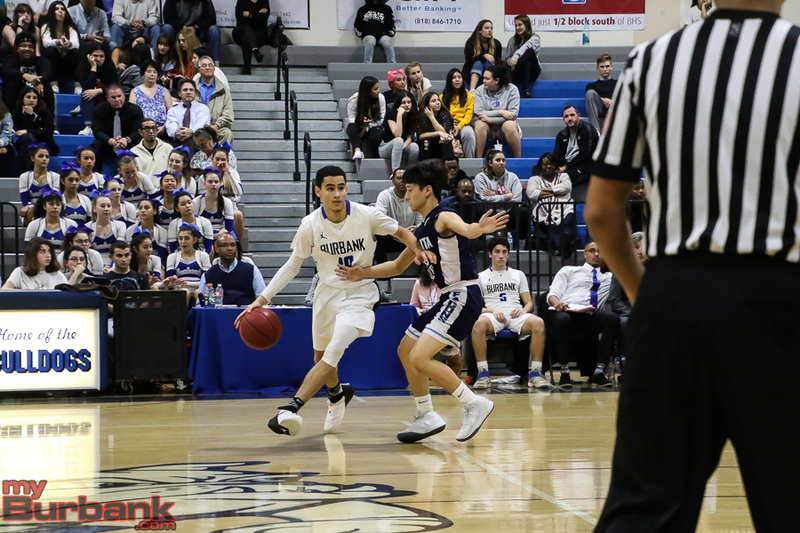 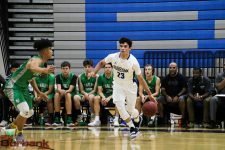 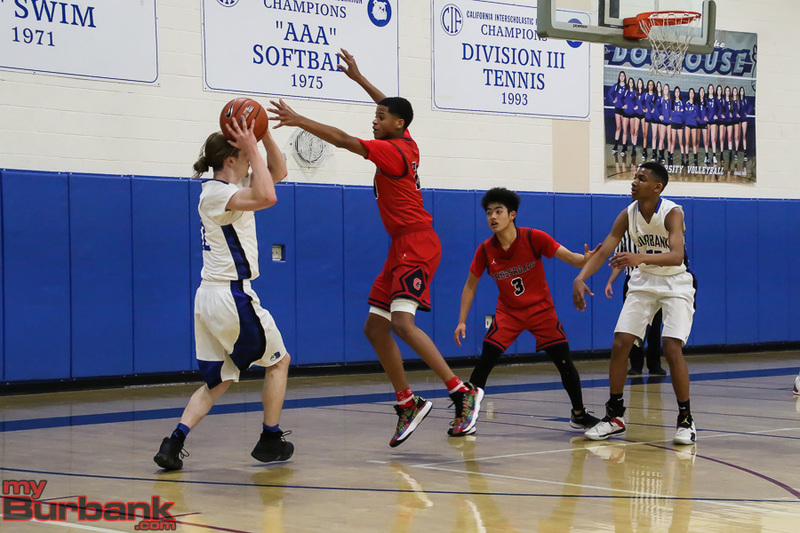 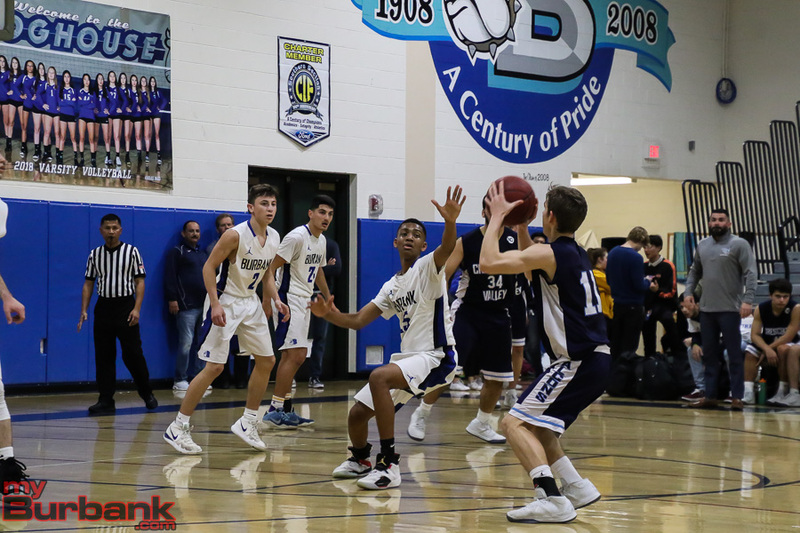 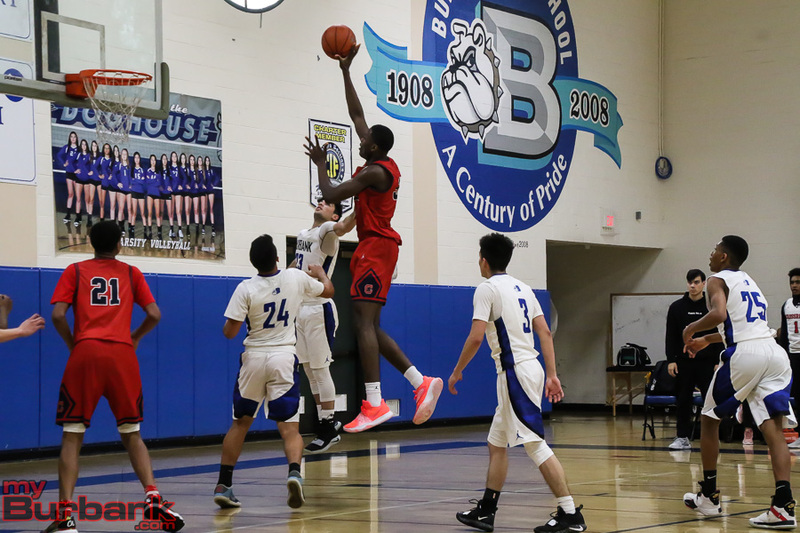 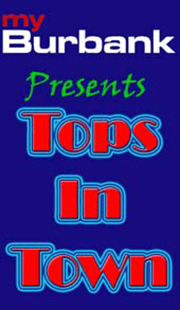 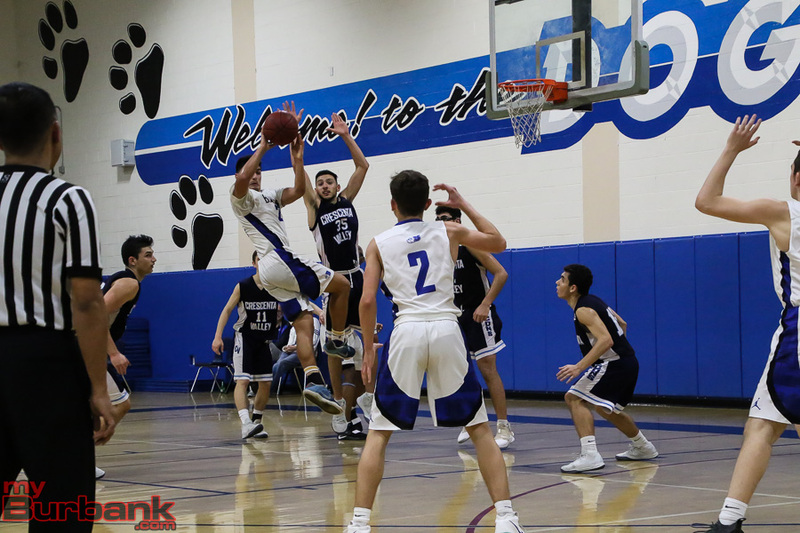 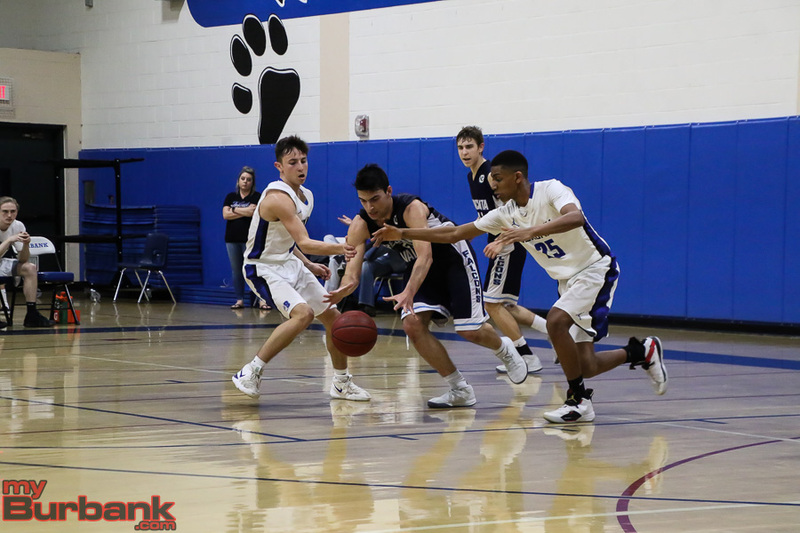 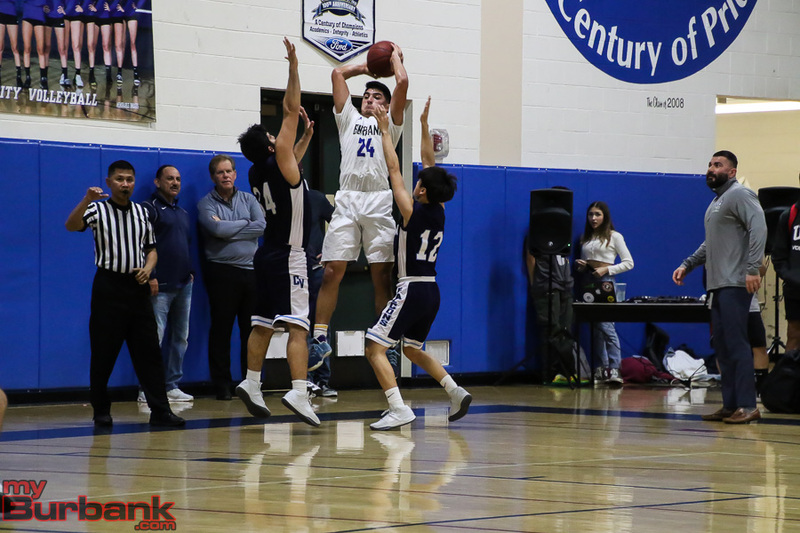 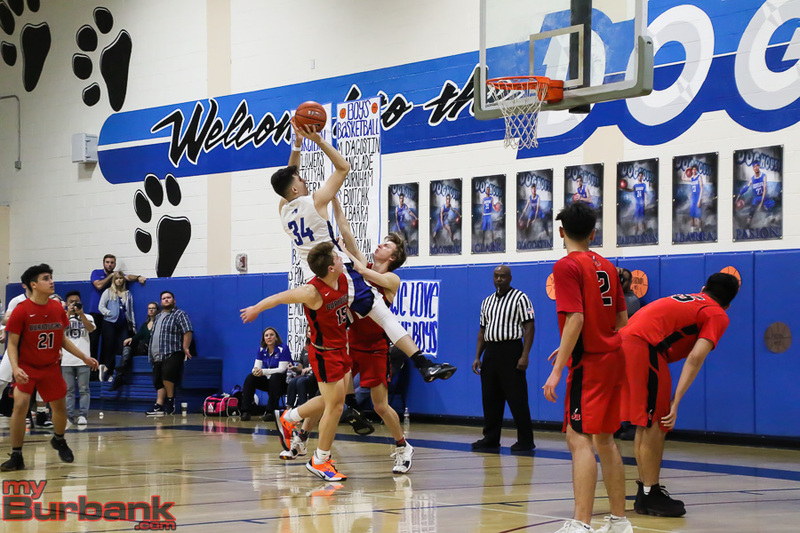 This entry was posted in Boys Basketball, Sports and tagged Abiel Pearl, Ben Burnham, boys basketball, Burbank High, Erik Harutyunyan, Guram Dumbadze, Kevin Sarkes, Leo Tahmasian, Miles D'Agostin, Pacific League on January 19, 2019 by Rick Assad.